Nitra Tourist Board had their website based on WordPress, but it was not optimized. While speeding it up we ended up with a complete redesign. Webshop elektrony.sk needed some icons for their wheel rims. 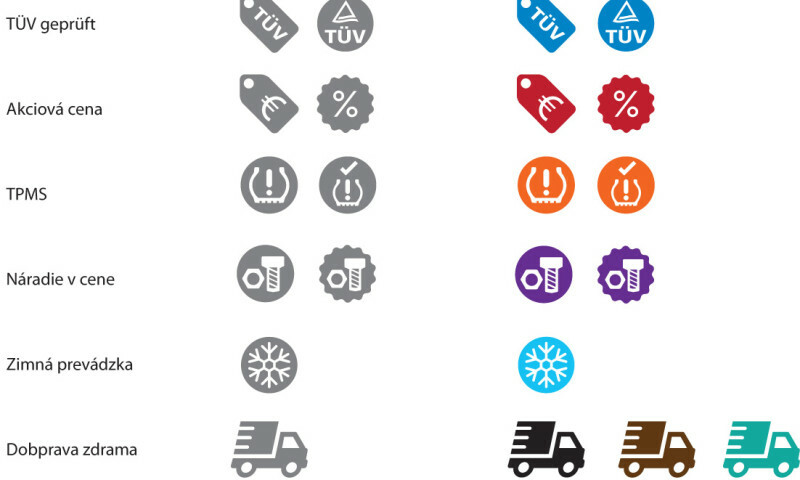 They needed to show various features in a simplified graphic way. 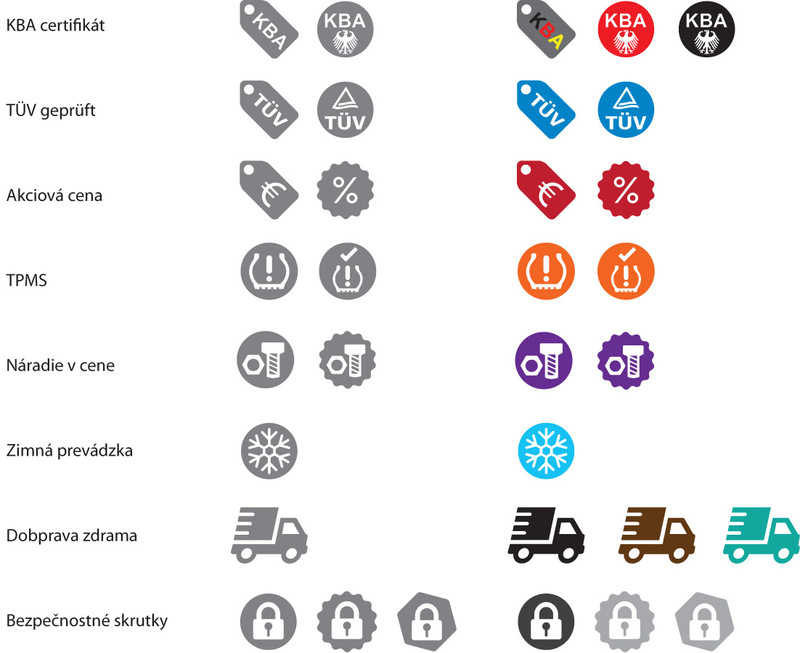 I’ve created a set of icons and supplied them to the customer in SVG, PNG and webfont format, so they can use it in optimized way. Pukanská moruša is a regional speciality – a mulberry tree typical for Pukanec area. Tekov Tourist Board began organizing a festival of this speciality and they wanted to create a regional brand for it. I’ve designed their logo. The tree itself is know to split in two halves and touch the ground with it’s branches – this way it created new generations. Tekov Tourist Board supports tourism in the Tekov area (round the city of Levice). For this newly established organization I’ve designed a logo and set up their website too at www.regiontekov.info. 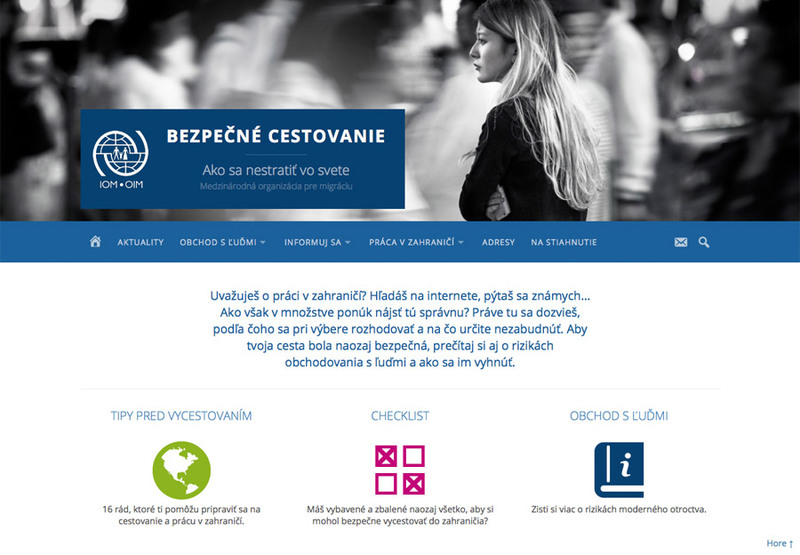 International Organization for Migration (IOM) Bratislava had a static website Bezpečné cestovanie (Safe Travelling) to raise awareness about risks of trafficking when traveling to unknown destinations. They wanted to be able to manage their site on their own, plus add a few extra functions. After deploying WordPress for this job, we also added a Travel Checklist, that visitors can either print out or send to their email. There is a number of useful information together with easy searchable addresses. The site is fully responsive. 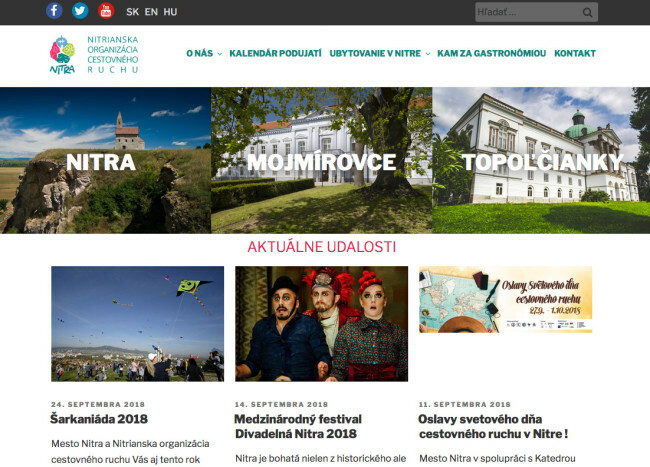 Nitra Tourism Board asked me to help organize a food festival. 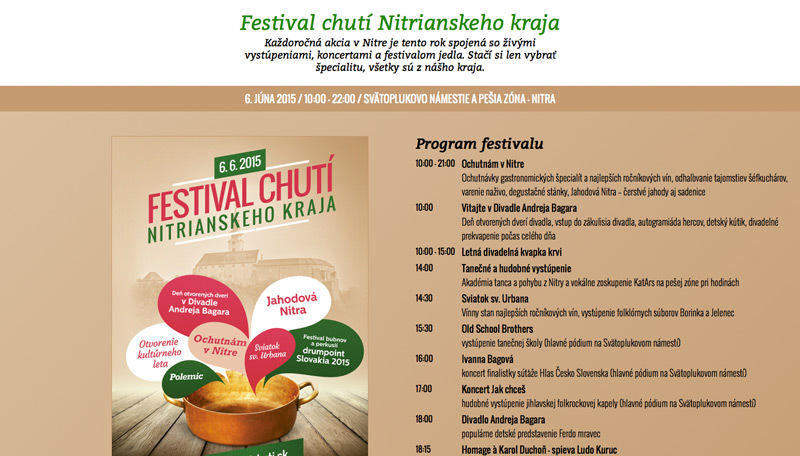 The previously used name for this event was Strawberry Nitra, this year we added Festival of tastes. Part of my job was to create a new concept for this large event, by picking only local gastronomy businesses. Communicating with media, public relations and works on social media were also part of the concept. Graphic works were done by a creative studio, but I have created a microsite with map of all event info and visitors brochure. Maintaining the concept also this year, I have prepared the whole gastronomy part of the event. From handpicking special product, communicating with restaurants, advertising them on social media as well as staging the festival area and solving all technical issues related with it. 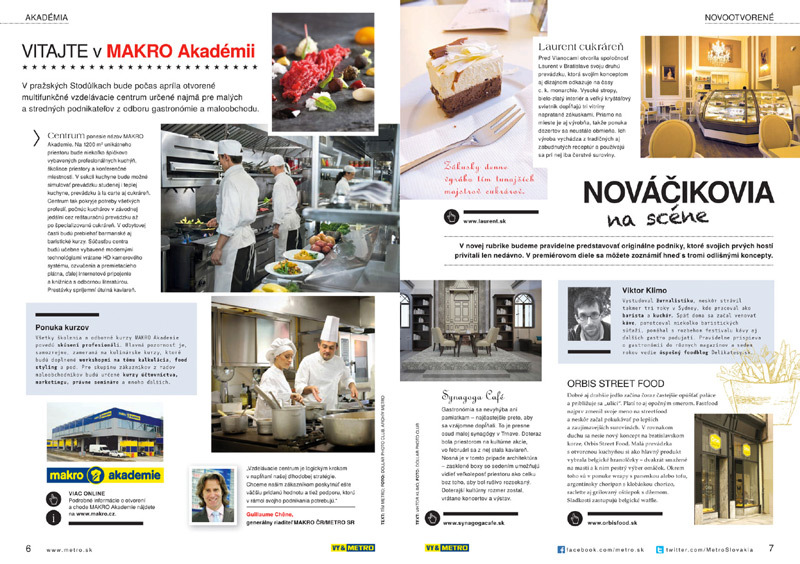 Metro is probably the largest food supplier for gastronomy in Slovakia. 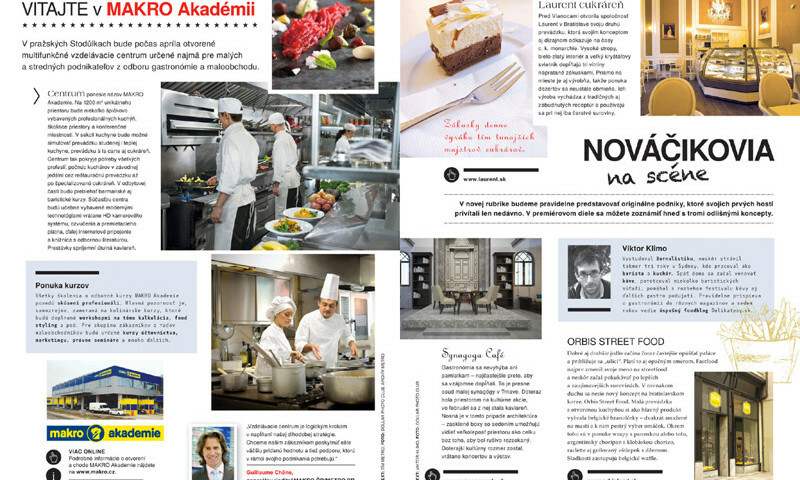 Lately it redesigned it’s quarterly food magazine Gastro and asked me to join with one page news section. Rado Ondřejíček is a creative director and author of two books and satirical blog Cynická obluda. 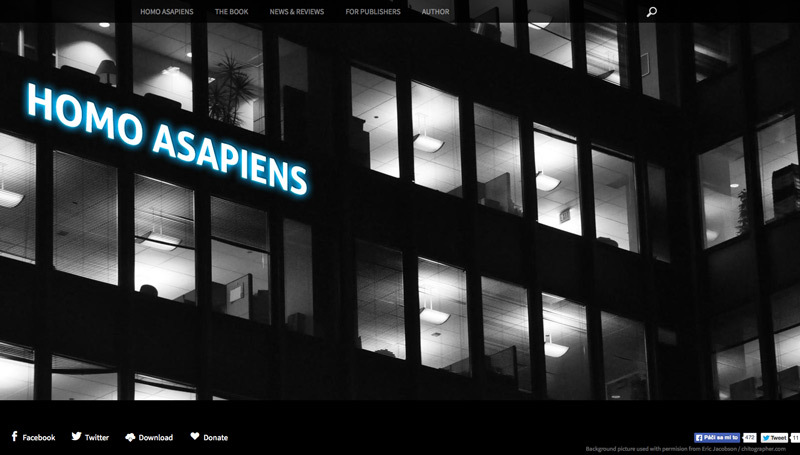 For his latest book called Homo Asapiens I’ve created a microsite, which is fully responsive and easy to manage. This restaurant is the place I used to work as a waiter during my university studies. Ever since the owners became my very good friends. 15 years after I’ve helped them build a new website. Štefan is my friend and is running a small coffee roastery using only speciality coffee. He needed a logo for packaging as well as his website. 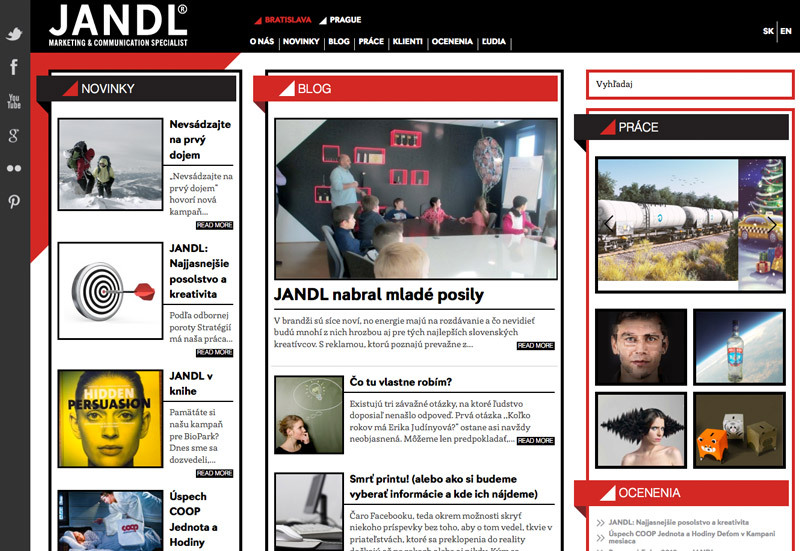 Jandl is the largest Slovak ad agency. I have helped them to redesign their company website from provided graphic layout. The site is fully responsive with some custom functions. Atlas komunít is about communities of migrants in Slovakia, their culture, habits and food. 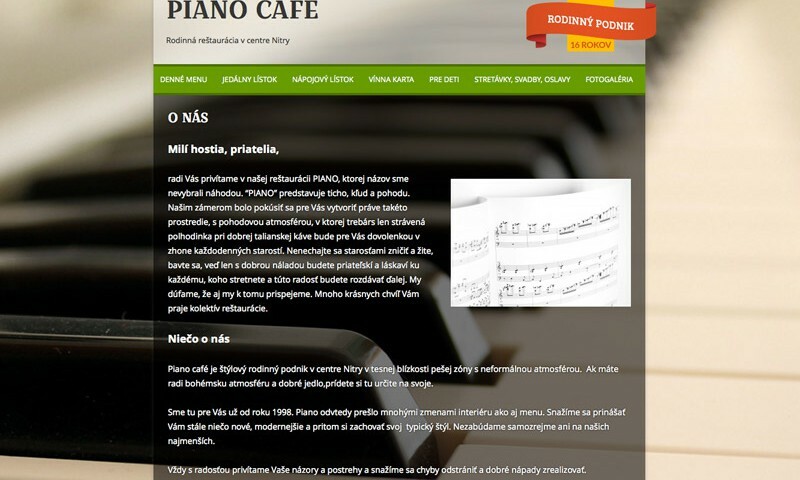 I have created a responsive website based on commercial theme, which had to be adjusted.